Lowe Malaysia recently won two golds in a competition that was frequently dominated by Digital/Mobile Marketing Specialist companies or Media houses. A feat that further establishes Lowe Malaysia as a trusted Brand Marketing partner for any clients. 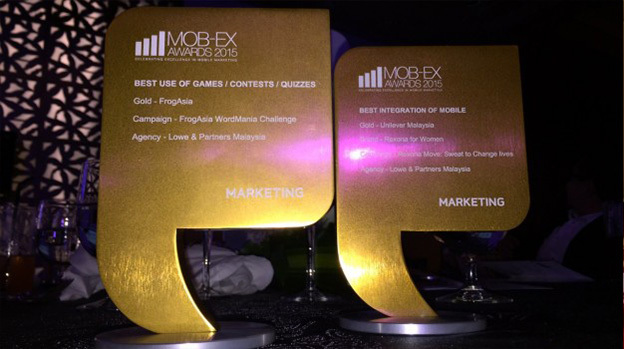 The MOB-EX, Mobile Marketing awards, is the region’s premier mobile marketing awards. It was held in Singapore recently and was judged by senior mobile and marketing professionals from Epson, HTC, Audi, Tourism Singapore and many more.